Love this take on this week's Muse - all those little zigzags are really fun! Thanks for playing along! what a lovely card! Great take on the musecard! 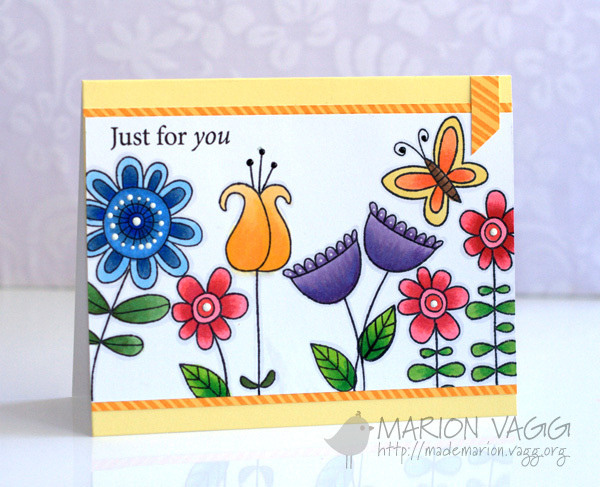 Love these fun flower images and your vivid colours! Great card & perfect for the challenge! AWEsome! I'm pinning this one right now! 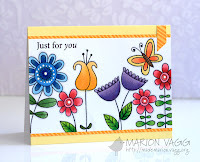 I love your choice of whimsical flowers and all the fun colors you chose for this card...just beautiful, as always! Very unique stamps - I love the final result. Congratulations, Shirley Girley, on the voter Top Three from MUSE for your crazy fun and cheerful card!! So bright and cheerful! Congrats on win @ MUSE challenge! CONGRATULATIONS!! I voted for your card and was excited to see you WON!! I also want to thank you for the sweet comment, I'm so honored to be in the TOP 3 and had a blast!! Those flowers are whimsical and fun! Great take on the Muse's card! Saw these stamps advertised in Creative Stamping magazine and tho9hgt they looked brilliant but so much better now I've seen your card!